Control your greenside game with putters designed specifically for women. 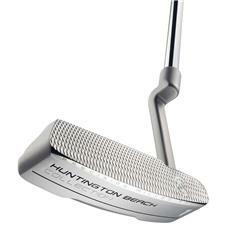 We carry a fantastic assortment of styles and brands, from Wilson blade putters to PING mallets and adjustable putters. 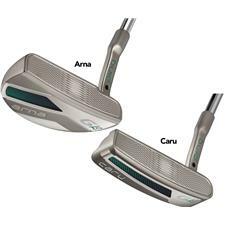 Golfballs.com carries women's and ladies putters from the top brands in golf, including PING, Odyssey and Nike, all rated amongst the best putters for both amateurs and professionals. 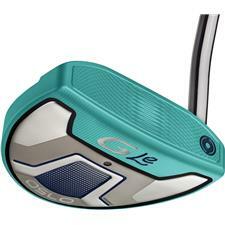 Improve your putting with the latest in golf technology and shave strokes off your game. 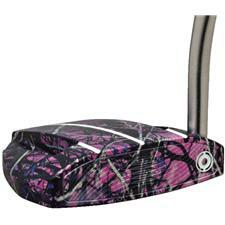 Sink shots like an LPGA pro when you find the perfect fitting women's golf putter. Available in styles that span from adjustable blade to powerful mallets, these clubs make it easy to perfect that winning putt. Crafted with durable metals materials for feel, visual alignment aids, and more of the latest technologies, these ladies' putters are sure to please. Golfballs.com carries these clubs from brands lie PING, Nike, and Cleveland Golf, so no matter what brand you stay loyal to, you can find it here.